Parga holidays take you to the north eastern coast of mainland Greece. It is a pretty area backed by olive groves with sand and shingle beaches washed by the sparkling waters of the Ionian Sea. 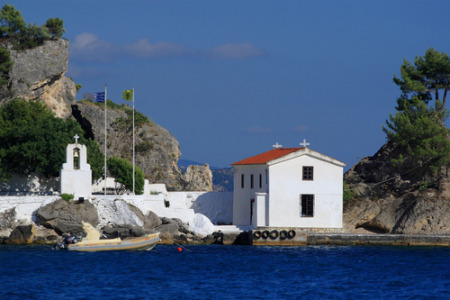 Holidays to Parga have wide popularity and are a favourite with the Greeks themselves. Here you can relax and enjoy authentic Greek hospitality. Holidays to Parga can be taken from April until October when the temperature rises from twenty to thirty at the height of the season. There is plenty to see and do with a variety of water sports from the beach and many ancient sites to explore including the Dodoni amphitheatre. If you are looking for a traditional Greek resort with a guarantee of summer sunshine, you may be interested in our cheap Parga holidays which are considered to be great value. Hotels and apartments provide good accommodation and the area is noted for its friendly tavernas. Check out our low cost Parga holidays and you may find one to suit. For further information and to view our latest Parga holiday deals, please use the search facility.